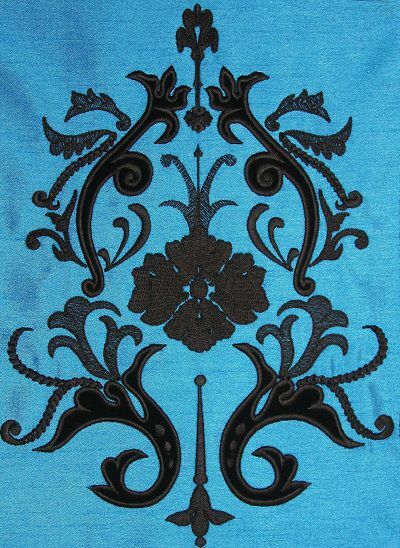 Hide Description Show Description Beautiful versatile and highly detailed motifs to create lovely panels for quilt blocks, pillows, chair backs, jacket fronts or just embellish your next projects. 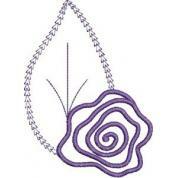 The main feature in this set is the decorative, chunky chain stitch. 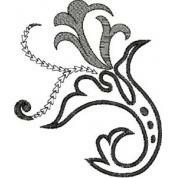 These were manually digitized. 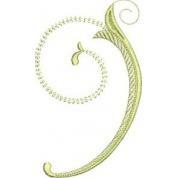 Some other smaller parts have an open fill to add to the decorative appeal of the set. 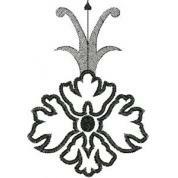 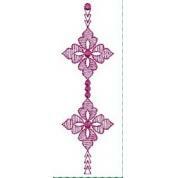 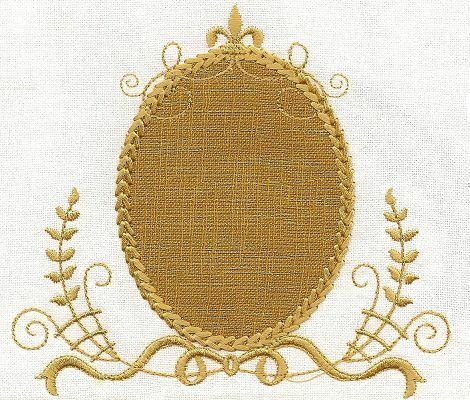 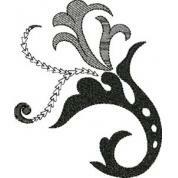 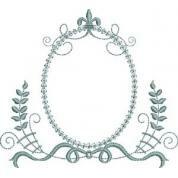 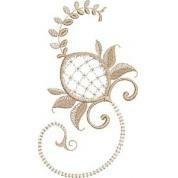 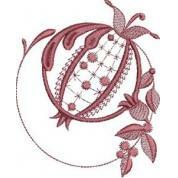 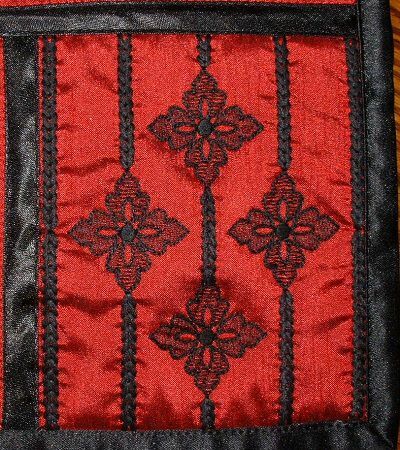 A few are supplied as an applique version as well. 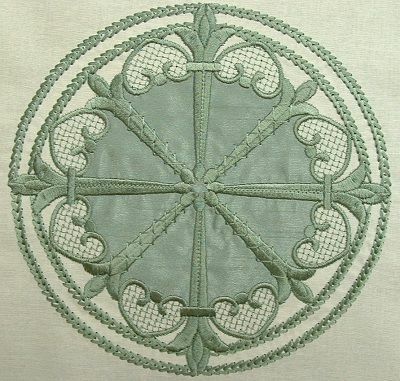 These motifs are designed for heavier fabrics for runners, table linen, pillows and quilts. 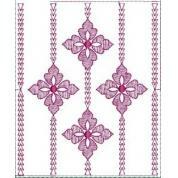 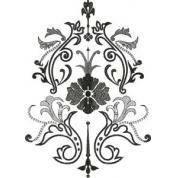 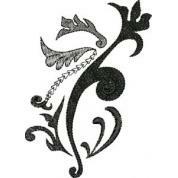 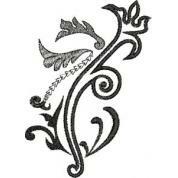 The collection includes 5x7 motifs, some in a small set to arrange as a larger motif. 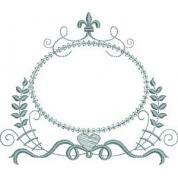 The large motif is also included in the set for the larger hoops as one motif, such as the jumbo and giant hoops. 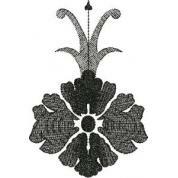 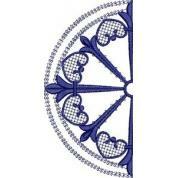 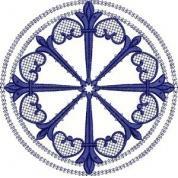 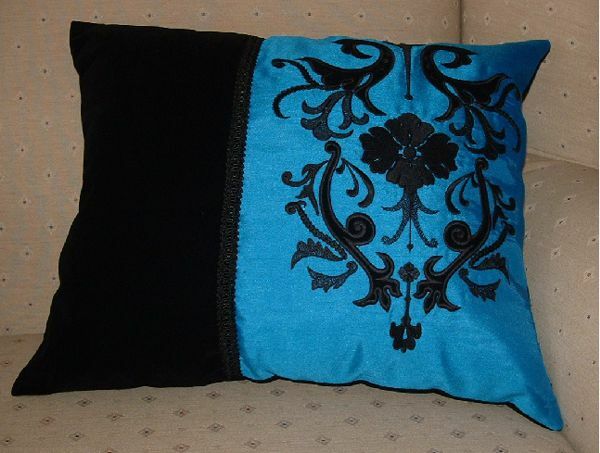 These are the large damask motif (black set) and the circle motif (blue set). 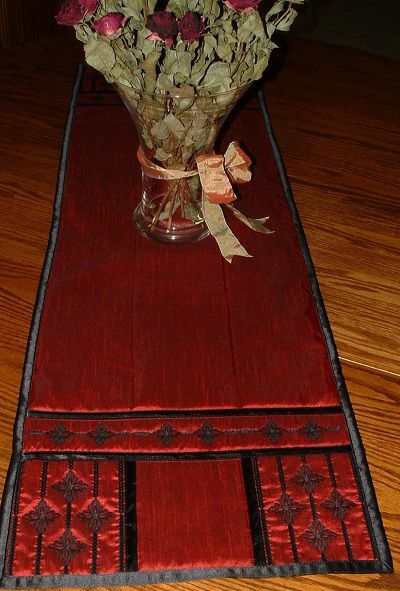 The blue pillow and the red table runner projects are included with full PDF instructions and step-by-step pictures.